I don’t need a particular excuse to eat Mexican food. It always has been my go-to comfort food! But, May 5 remains one of my favourite days of the year because Cinco de Mayo is a good excuse for a gringa like me to celebrate Mexican culture and food. My husband and I throw a Cinco de Mayo party every year, and preparations for tomorrow’s shindig are underway. If you are not familiar with Cinco de Mayo, it is a regional Mexican holiday commemorating a battle in which an underdog Mexican battalion defeated their much-more powerful French invaders in 1862. For non-Mexicans like myself, think of it as the Mexican version of St. Patrick’s Day. Of course, I recommend celebrating the day with friends over Mexican food. Amigo's Cantina has always been a favourite for my family. The first meal I ordered for my six-month-old baby at a restaurant was his very own avocado at Amigo’s. 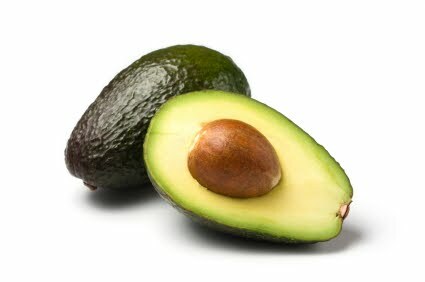 You may already be aware that avocado is a great first food to introduce to your baby due to its texture and nutrition. In fact, the avocado is often called nature’s perfect food because it contains vitamins and the good fats that we need for brain development. Amigo's has great food and high chairs, but no change table. Click here for more about this local restaurant. There's a change table in the large stall of the ladie's washroom. Really? That's awesome! Is it new? All the times I've been, I've never noticed it! I gladly stand corrected. It makes me like Amigo's that much more! Thank you so much for sharing that tidbit, Kristine! I went to Amigo's today and there definitely is NO CHANGE TABLE. Kristine, I believe it had a change table before the washroom remodeling. However, there is now no change table.